To register your trademark in the European Union, just send us your trademark information and our Attorneys will immediately file your application. 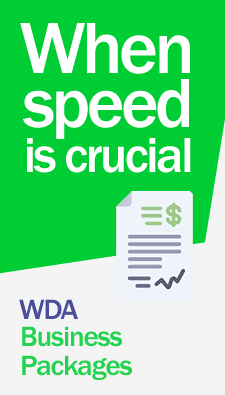 WDA Attorneys will also monitor the registration process, inform you in case the Trademark Office has any objection to your application, and send you registration certificate once the trademark is approved. Registration of trademarks in Europe grants trademark owner the exclusive rights of prohibiting any use by third parties of the registered trademark, except for the cases when use by third parties is legitimate and made as a consequence of any trade relation started by the owner of the trademark direct or indirectly when the product is put in the local or international market as long as product or good has suffered no alteration or modification whatsoever. Trade names are protected by laws and its rights are originated not for the registration but for the first use in commerce. Protection is granted even when not registered but is eliminated upon the abandonment of the trade name which takes place when no use of the trade name in question has been made for the last years. Register your marks in Europe through the WDA legal services lawyers. We register your trademarks with the Customized assistance of our lawyers 365 days a year. Contact us now!